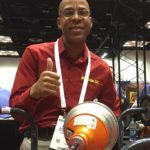 Last year, I was manning a booth at an industry trade show when I saw an attendee frantically circling the Speedrooter 92® and Speedrooter XL® drain cleaning machines we had sitting side by side in the booth. Before he could get too dizzy, I approached and asked if I could be of any assistance. He spread his hands and looked at me with a perplexed expression on his face. He muttered something affirmative, so I continued. He stood staring at the ceiling for a few seconds and shook his head. 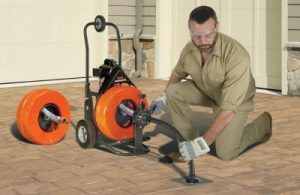 General Pipe Cleaners’ Speedrooter XL with easily interchangeable drums to handle tough clogs in long runs. 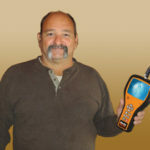 I asked because the main difference between the Speedrooter 92 and Speedrooter XL is the ability to remove the drum. If you routinely need to put a second drum on your machine to go over 100 feet to get to the clog, the XL is the machine for you! If that only happens every blue moon, then the 92 makes more sense. The 92 is much more economical, and the spring distributor tube that comes standard on the 92 works great for most customers. The XL comes standard with a larger ¾ hp motor, and some contractors find that its solid metal distributor tube gives the cable more support when they explore the functional limits of the unit. 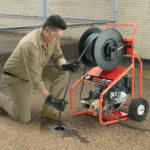 Think of the Speedrooter XL as being halfway between the Speedrooter 92 and the Maxi-Rooter in price and utility. After I explained this, he gently patted the drum on the 92 a few times, and then smiled.